The cement industry must continuously invest in research and development to improve their manufacturing processes, improve the quality and variety of the cement products offered and to reduce their environmental footprint. Laval Lab has over 30 years of experience in the supply of high quality sample preparation equipment for cement analysis. We have the expertise and the range of scientific laboratory equipment, to participate in projects for cement production, and laboratories for concrete analysis and development. Our extensive supplier database, comprising of manufacturers that set the standard in their domain, and our expertise in the industry, allows us to work in close collaboration with the project manager to offer the best value for performance solutions. With their technical experience and product knowledge, the competent staff at Laval Lab can assist the research laboratories in the cement industry with their choice of laboratory equipment: the crushers and grinders required for milling the sample, sample dividers and sieve shakers for particle size analysis, and sample preparation equipment for XRF analysis. Laval Lab also offers a complete line of accessories and complementary products and services that might be required during the installation and production phases. Our representative offers technical support for the life of the instrument. 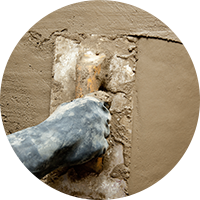 Laval Lab understands the requirements and complexities in the cement industry, and requirements of laboratories for research into innovative cement, mortar and concrete solutions. From the first contact, our qualified representatives ask pertinent questions so there is a clear understanding of what is required. For each project, we work closely with your engineering consultants and company personnel to offer made-to-measure solutions. The Laval Lab representative is your resource for information during planning and purchasing, and their support continues during installation, training and after-sale service. We work together with our clients to deliver quality solutions. Why choose Laval Lab ? The support and effectiveness of the after sales service.